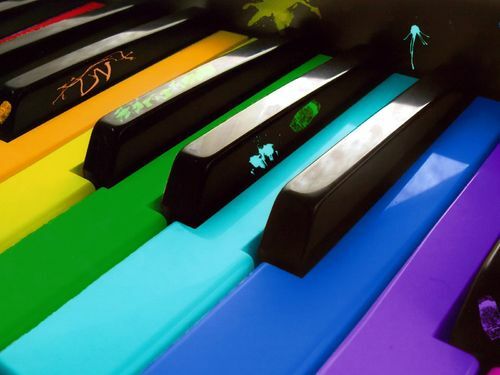 Piano is one of the most popular instruments for Singaporeans. Look around you, you may have at least one friend who can play the piano. Now, maybe you are inspired by your friend to play the piano, or inspired by a famous pianist who can play the song you love. If you are thinking how you can start learning the piano, here are some tips for you! 1. Do you have a piano? Needless to say, if you want to learn the piano, you must have a piano first! But wait, I’m not asking you to rush down to the nearest music store to buy a piano. There are many types of pianos, ranging from simple upright pianos to grand pianos which can cost tens of thousands of dollars. If you are just starting out, you can consider getting a second hand upright piano, which is around $1000 to $2000 dollars. It is important to have a piano you can play at home, regardless if you have piano lessons at home or at your teacher’s place. Regular practice is required if you want to learn it well. Not many people talk about this, but this will determine how you will learn. Do you want to learn the piano just because you want to play 1 song, and that’s it? This can be just lessons for preparing for a performance, or a wedding proposal. If you want to learn long term, to play all the songs you like, no matter how difficult it is, then you have to find teachers who are willing to work with you all the way till you master it. Hence, ask yourself why do you want to learn the piano, before starting it. After you know what you want to learn, next is to find a suitable teacher to help you! There are many ways to do this. You can go around asking friends for recommendations, or join group piano classes in music schools (not recommended). Or you can engage our Free service to recommend a suitable teacher for you. This is because every student have their own needs. You want to have a teacher who can teach you based on your needs.